Born: 1790 in Barnstable Ma. 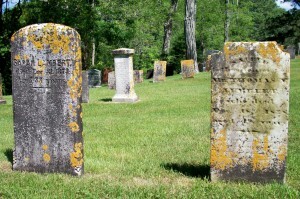 Died: December 31, 1873 in Sandwich Ma. at 83 yrs, 2 mos, 23 d.
1. Adoneram J. Lumbert; (November 16, 1815 – May 24, 1844); Adoneram died at 28 yrs, 6 mos & is buried in Cataumet Cemetery. 2. Mary E. Lumbert; (November 30, 1817 – October 23, 1845); Mary died at 27 yrs, 10 mos, 23 d. & is buried in Cataumet Cemetery. 3. 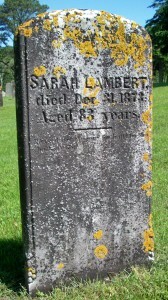 Sarah M. Lumbert Everson; (March 10, 1821 – ? ); Married Sylvanus Everson in int. on October 31, 1840; Sarah is buried with her (Lumbert) family in Cataumet Cemetery. 4. 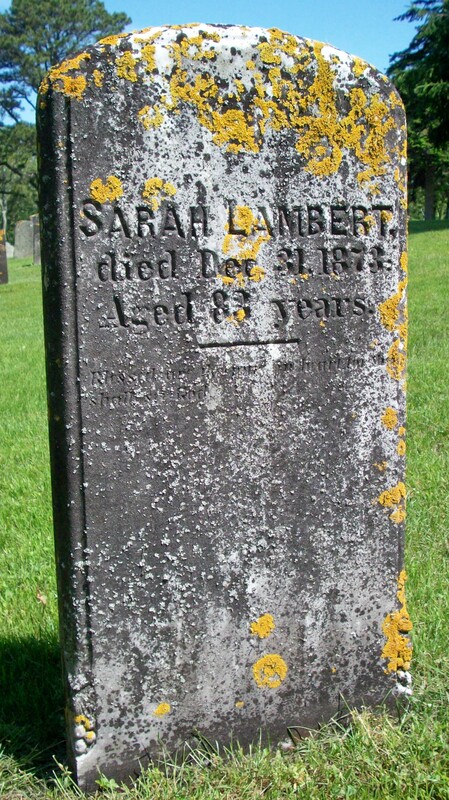 Seth B. Lambart; (March 2, 1823 – April 7, 1849); Seth died at 25 yrs. aboard the schooner “Stranger” & is buried in Cataumet Cemetery. 5. Elizabeth C. Lumbert Lewis; (November 25, 1826 – ? ); Married Ezra N. Lewis (1822 – ?) (Thomas Lewis & Susan (–) in Sandwich Ma. on May 13, 1849; Ezra married (1) Eleanor F. Wright (1853 – ?) (Zenas W. Wright & Sarah C. Handy) in Sandwich Ma. on April 30, 1873. 6. Calvin T. Lumbert; (September 19, 1829 – March 17, 1850); Calvin is buried in Cataumet Cemetery. 7. Mary A. Lumbert; (October 22, 1840 – ? ); No further information.